US Dollar Weekly Outlook: What’s Really Driving The Rally? First, please accept my apologies to all who’ve inquired about my absence in recent weeks. Life intervened. A parting of ways with a recent employer has meant I’ve taken some short term but demanding projects. So here’s at least a return to our weekly USD outlook. The short version: The rally looks durable over the coming months because its drivers appear durable over that period. Here’s a quick review of them. By implication, any weakening of them would weaken the rally. Quick: who can name the cult classic film alluded to in that heading? 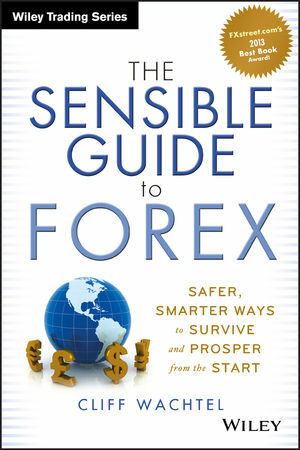 For reasons I discuss in detail in my award-winning book, The Sensible Guide To Forex (see here for details, including a free chance to peruse it via the “Look Inside” feature), in recent years the USD has performed as a safe haven asset, so it usually moved in the opposite direction of stocks and other risk assets. However in recent months the USD has begun to track stocks, which is very bullish as long as stocks continue to trend higher (though the forces driving it could keep it moving up over the long term even if stocks move lower). That trend got further confirmation this week, as the USD continued its multi week and multi-month rallies vs. most other major currencies, even as stocks broke past 5-10 year old resistance on a number of key global indexes. If this continues it is a potentially profound change that will radiate through virtually all global asset markets. Why Does The USD Rally Look Durable? The short, simplified explanation is that unlike those recent years, markets are anticipating that that the Fed is moving in a direction of tightening its monetary while so many other leading central banks (BoJ, ECB, RBA, and probably the BoE, among others) are either holding steady or likely to ease further. After the USD, those banks run the #2, #3, #4 and #5 most widely traded currencies, and their primary counterpart is the USD (currencies always trade in pairs). As I also discuss in The Sensible Guide To Forex, (p. 183), along with overall market sentiment, the primary near term driver of any currency is the anticipated direction of the benchmark interest rate. Tightening relative to other currencies, should boost the USD, especially because it raises expectations about an increase in the benchmark Federal funds rate. The recent news stories from Monday and last Thursday about the Fed reducing QE have strengthened the impression the Fed is becoming one of the more hawkish central banks, despite its maintaining historically low rates and loose monetary policy. In forex, all is relative. Until expectations about Fed tightening are diminished, expect the USD to continue trending higher. As we’ve repeatedly noted in past articles, and have explained at length in The Sensible Guide To Forex, EUR weakness forces the USD higher. As we’ve seen repeatedly in the past years, enough weakness in one of these can be enough to drive the other higher regardless of its own merits. Wednesday provided a textbook example of this phenomenon, with the EURUSD hitting a one month low despite weak US data. Why? Data out of the EU shows that except for Germany, it remains mired in recession. Traders have sold off the EUR due to this continued weakness, which suggests that the ECB will eventually have to find further ways to ease, which in turn would risk further debasing the EUR. Meanwhile the US economy remains overall in slow recovery that should keep Fed policy steady. Anticipation of further ECB easing got some fuel from the EU’s Industry Commissioner on Thursday when he complained that the EUR was still too strong and called on the ECB to weaken it. Some would argue that the relative strength of the US economy is also creating USD demand as foreigners buy up US assets. On Friday a Bloomberg poll showed over 66% believed that the US recovery is now “sustainable” for the next two years, due mostly to accelerating growth in energy production and rising home prices. However this idea is at least partly refuted by the negative TIC Long Term Purchases data we saw Wednesday, which shows more money moving into foreign stocks and bonds than into those of the US. We suspect that most of that is due to the spike in funds flowing into Japanese stocks, ($6.8 bln out of the total $14.1 bln increase in AUM for equity funds for the week ended May 15). Nothing succeeds like success. In technical analysis, that means strong momentum perpetuates itself until it hits a technical (aka resistance) or fundamental ( some news that changes market perceptions of its future value). What Could Halt The US Dollar Rally? Basically, the biggest threats to the current USD rally would be a weakening in one or more of the above. Note that we have not covered the numerous headwinds to global and corporate earnings growth. However if these scare markets into risk aversion mode, the USD’s reserve status should allow it to assume its traditional safe haven role, allowing it to paradoxically benefit from opposite conditions as well. In the longer term, the USD’s uptrend will depend on continued outperformance of the US economy. The main drivers for that would include continued expansion in the US energy and housing sectors, with the usual follow-through effects on other areas of the economy. Ongoing geopolitical unrest, currently focused in the Middle East, is also likely to be a periodic driver of USD demand, especially if US energy production growth continues as anticipated and attracts and estimated $100 to over $200 billion in capital investment. Relative strength of the USD should be viewed as an opportunity to continue to diversify your portfolio and passive income stream into better managed currencies or assets linked to them, at relative bargain prices. See here for details on our award winning book on simpler, safer ways to do that. Similarly, those lacking USD exposure should plan to get some on the periodic dips along the way.